Sword Of Survival: Are We Prepared For A Possible EMP Event? $2 trillion sunstorm coming, NASA warns recovery time period estimated at 10 years. It is scenarios like this that make it necessary to learn survival skills, whether it be basic survival skills or urban survival skills. You can learn the basics from my website. Also, on my website is an excellent urban survival course that teaches survival techniques in an urban and city setting. Its worth the purchase. 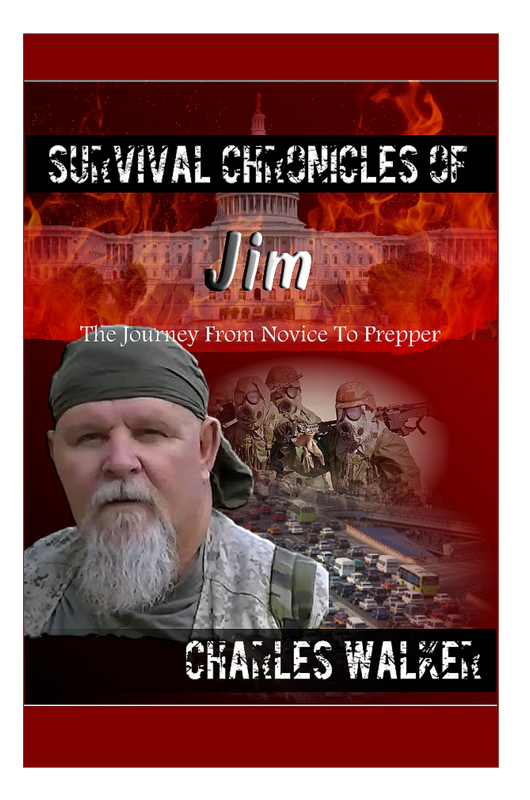 Just click on the Urban Survival Guide Book on the left hand column of my website. WASHINGTON – U.S. officials quietly are expressing concern that North Korea could use its "space launch vehicle" to explode a high-altitude nuclear device over the United States, creating an electromagnetic pulse that would destroy major portions of the U.S. electrical grid system as well as the nation's critical infrastructures. The concern is so great that U.S. officials who watch North Korea closely are continually monitoring the status of the North Korean "space launch vehicle," whose status could suggest a pre-emptive nuclear strike against the United States. They are aware of the three-stage missile North Korea launched last December that also orbited a "package," which experts say could be a test to orbit a nuclear weapon that then would be deorbited on command anywhere over the U.S. and exploded at a high altitude, creating an EMP effect. This concern is in addition to North Korea's latest threat to strike targets in Hawaii and the continental U.S., as well as possible attacks against U.S. bases in South Korea and Japan. The 28-year-old North Korean leader, Kim Jong-un, has signed an order for North Korea's strategic rocket forces to be on standby to fire at U.S. targets. The signing was against a photo backdrop following an emergency meeting of his senior military leaders showing large maps that were labeled "U.S. mainland strike plan, specifically at Hawaii, Washington, D.C., Los Angeles and Austin, Texas." One WND reader who traced the targeting to Texas said that it really was aimed at the Dallas/Fort Worth area. The latest North Korean threats occurred after the U.S. sent two B-2 stealth bombers to strike targets with inert bombs during joint U.S.-South Korean military exercises, which Kim considered a major provocation. "He finally signed the plan on technical preparations of strategic rockets, ordering them to be on standby to fire so that they may strike any time the U.S. mainland, its military bases in the operational theaters in the Pacific, including Hawaii and Guam, and those in South Korea," according to a statement by the North Korean news agency, KCNA. The statement added that the B-2 flights showed Washington's "hostile" intent, and the "reckless" act had gone "beyond the phase of threat and blackmail." In response, U.S. Secretary of Defense Chuck Hagel condemned North Korea's actions which to date have included dissolving the 1953 armistice between North and South Korea, severing the military hotline with South Korea and putting its artillery forces on high alert and threatening, once again, nuclear strikes against the U.S. In recent weeks, North Korea also had released three videos showing a nuclear strike on the U.S.
"We've made very clear that we have the capability and willingness to protect our interests and our allies in the region," according to deputy White House press secretary Josh Earnest. He said that the U.S. military exercises with South Korea should offer "pretty clear evidence" that the U.S. can defend its interests and those of its allies in the region. Sources say that sending the B-2s was in response to the recent North Korean threats to send a message – a message which Russia and China called a "provocative act." Russia and China have asked the U.S. to continue talking to North Korea and not to take military action against North Korea. In response to North Korea's initial bellicose rhetoric, Hagel ordered the deployment of additional Aegis anti-missile systems for the U.S. West Coast. They originally were destined for Europe. And a second anti-ballistic missile radar is to be installed in Japan. However, the Aegis anti-missile systems won't be operational until 2017, although there are some systems already deployed along the West Coast. North Korea's continuing threats of a pre-emptive nuclear strike against U.S. targets suggest to U.S. officials that its military is confident in the capability of its missiles and that its recent nuclear testing for miniaturization of a warhead to be placed on a missile similarly was successful. These officials are looking at the prospect that upon launch of the missile and a potential nuclear payload, it would take a polar path, clearly out of range of U.S. Aegis anti-missile systems. The fact that U.S.military officials are expressing quiet but increasing concern that North Korea could launch an EMP attack has raised alarms over the preservation of the U.S. national grid and such critical infrastructures as communications, energy, food and water delivery and space systems. "Preparing for months without a commercial source of clean water (city water pressure is often dependent on electric pumping to storage towers) and stoppage of sewage treatment facilities will require net methods of survival particularly in populated areas," the military study said. The May 2011 study, titled, "In the Dark: Military Planning for a Catastrophic Critical Infrastructure Event," concluded that there is "very little" in the way of backup capability to the electric grid upon which the communications infrastructure is vitally dependent. Analysts say that it is apparent that Kim has ignored any advice from its closest friend, China, to stop any further missile or nuclear testing suggesting, as one official described Kim, as a "loose cannon." Kim also has been defiant of any United Nations Security Council resolutions similarly condemning the recent missile and nuclear tests. China had joined in approving those resolutions. "The time has come to settle accounts with the U.S.," the KCNA agency declared. "The Obama administration is either clueless or deceiving the American people with false assurances that North Korea's recent threats to destroy the United States are merely 'empty rhetoric' because they allegedly 'lack the capability,'" one former U.S. official told WND. Some regional analysts, however, believe that Kim is seeking to leverage the U.S. for further concessions while attempting to win favor with his own military to show how tough he can be. These analysts say that until now Kim has not had the support from the military that his father, Kim Jong-Il, had. His war-like tone may be indicative of attempts to solidify military support within his country. At the moment, experts are looking at efforts for preparations at known long-range missile launch sites. Those signs may be appearing. "North Korea's launch sites to fire off mid- and long-range missiles have recently shown increased movement of vehicles and forces," according to one South Korean official who described the activity at the sites as "brisk." "We are closely watching possibilities of missile launches," the official said. In this connection, officials have seen several vehicles moving to the Tongchang-ri missile site on the western coast, in what appeared to them to be preparations for testing its long-range missiles. Some observers, however, believe the latest threats of a pre-emptive nuclear strike against the U.S. remain for now just domestic posturing and efforts to establish military credentials on Kim's part to show that he is more forceful than his father. In other efforts to determine warnings and indications of an attack, analysts are looking for major troop movements, although none has been detected to date. Late last week, a North Korean Mig-21 fighter jet flew near South Korea's front line airspace, known as the Tactical Action Line,but returned to base, according to a South Korean military official. In response, the South Koreans scrambled a KF-16 fighter. The TAL is the point between 20 and 50 kilometers north of South Korean airspace that will prompt the South Korea to scramble its fighter jets.